Teacups and Cake: Harry Potter! I saw Harry Potter yesterday! I liked it, I thought it was much better then the fifth movie. They left out stuff, as usual, but over all I enjoyed it. I don't want to say to much because I don't want to give anything away. I have been busy this past week with summer school and my friend is here from out of town. I will try to post again soon. I always mean to post and then I forget to, its a bit of an issue. I think that the movie was actually really good! The story is getting more and more depressing in my opinion though. Can't wait to see this movie! I am amazed at how much the actors have grown up! 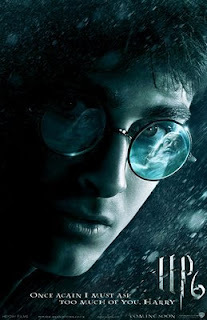 most people i know didn't like the newest HP flick, but i thought it was darling!